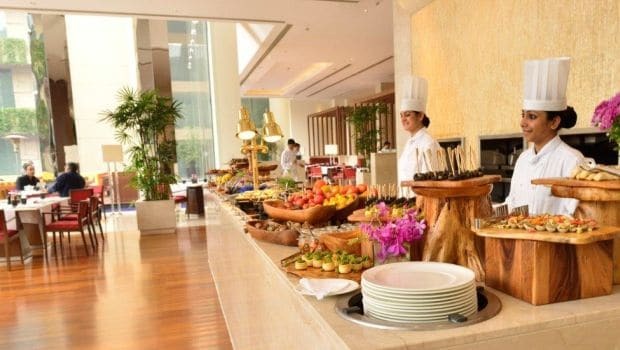 An all-you-can-eat lunch buffet may seem like a thing of the past, but there are only few restaurants that can satisfy a never-ending appetite and offer good value for money. 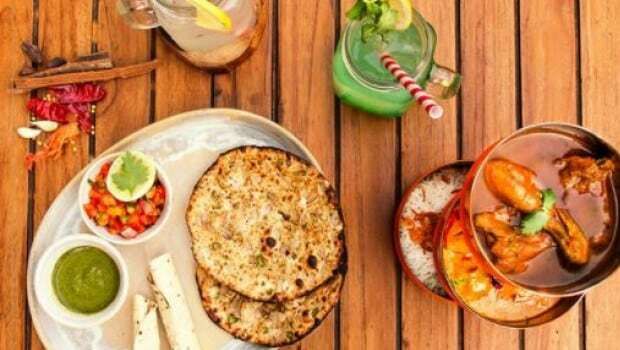 An increasing number of restaurants in Delhi are offering intriguing menus. You can now choose from much more than salads with unlimited hors d’oeuvres and Bloody Marys. For days when you are really hungry, here are seven to try. At Set’z, there is a parade of seven distinct cuisines displayed and you can help yourself to as much as you want of North Indian, Chettinad, Chinese, Italian, Teppanyaki, Grills and Thai. It is a gloriously indulgent spread that suits every taste. My favourites are freshly crafted sushi especially the Philadelphia roll and pepperoni pizza, the kind to which anyone can get addicted. They have several interactive counters where you can assemble your own salads, soups and even Teppanyaki mains. Particularly recommended is their coastal cuisine filled with punchy flavours, from unusually light egg appams to delightfully seasoned Chettinad curries. Cost: INR 1650 plus taxes with unlimited mocktails or two glasses of house beer or wine. Buffets aren’t always the obvious ones. 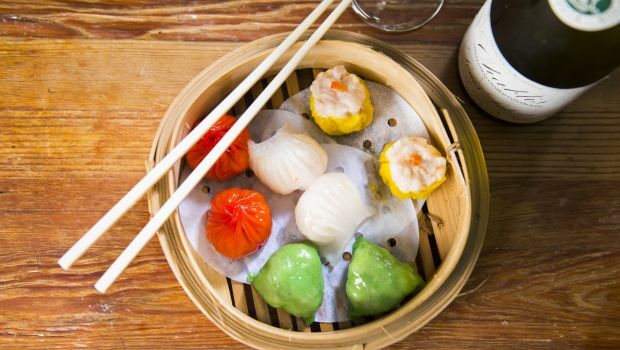 Two good reasons to visit Royal China are the altitude (located 16 floors up) that offers an atmospheric backdrop with a bird’s eye view of the city and more crucially, unlimited dumplings. You are encouraged to order as much as you like from their selection of small plates. I particularly enjoyed the zingy seafood dumpling with ginger and chilli Oil and the excellent steamed prawn dumpling with coriander. There is plenty of scope for vegetarians too. Options are creative like the vegetable puff which is a lavishly buttery pastry with a caramelized finish and the fried turnip paste sitting atop crispy onions. Unlike the traditional affaire, your dishes are served hot on the table. Cost: INR 1450 plus taxes for a 4-course meal with soup, unlimited dim sum, rice or noodles and dessert. The buffet at La Piazza, one of the oldest Italian restaurants in town, is supremely satisfying with unlimited anti-pasti and desserts. The prettiest desserts and vivacious salads are enticingly displayed on the counter. Choosing just one can be a time-consuming task and I strongly suggest you don’t. 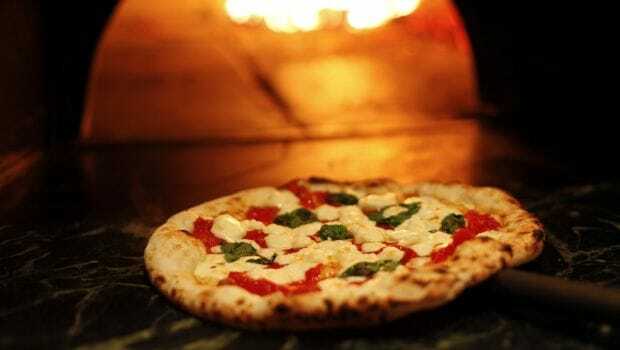 For mains, their signature La Piazza pizza with a light crust that’s perfectly charred and the right balance of sweet tomato sauce, tarty sun-dried tomatoes and pesto deserves commendation. It would be remiss not to have their blissful Tiramisu, a rich and creamy Italian treat, for the finale. 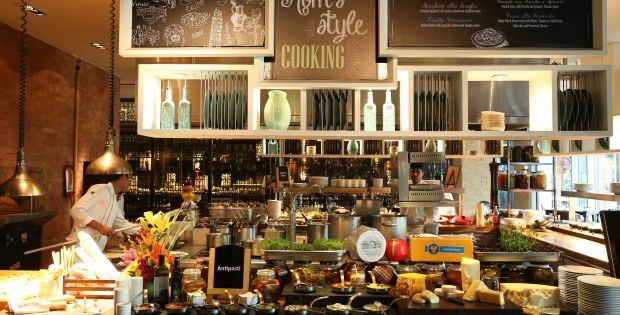 Threesixtyone Degrees is renowned for its service and style and provides the perfect setting for a relaxed meal. It not only makes a statement with its elegant floor-to-ceiling glass facade but also delivers on taste. Spoil yourself with everything from handmade pastas and freshly baked breads to fragrant biryanis and robust mutton curries from their buffet. Don’t miss the refreshing pomelo salad with juicy chunks of the citrus fruit slathered in Thai chilli sauce giving them a decadent lift and smoked cashews adding crunch. 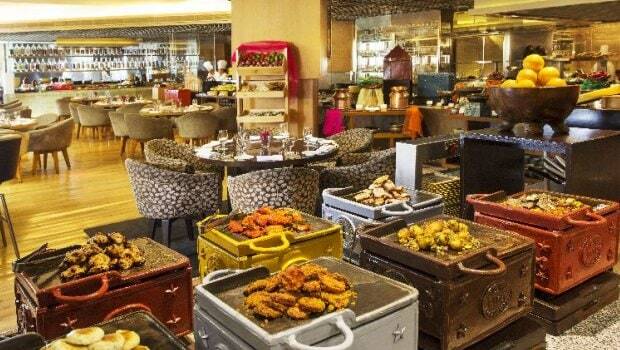 Cost: Saturday Trunch at INR 2950 plus taxes and Weekday Buffet at INR 2650 plus taxes. 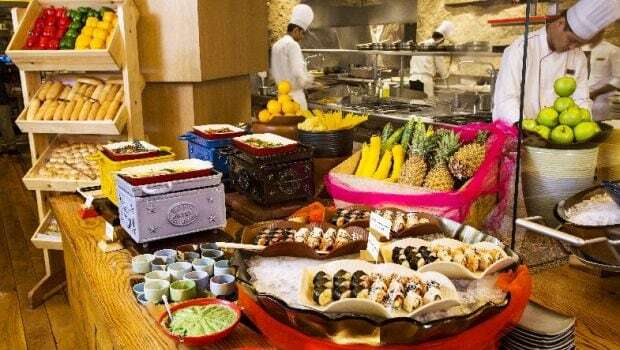 The five live stations at Tamra’s lunch buffet churn out good, tasty and unfussy food prepared with pride. At this all-day dining restaurant you can enjoy world cuisine on your platter – from the teppanyaki grills of the Far East to the tandoors of Central Asia. The dessert bar is a sweet tooth’s dream with homemade popsicles and gelatos adding up to a winning proposition. 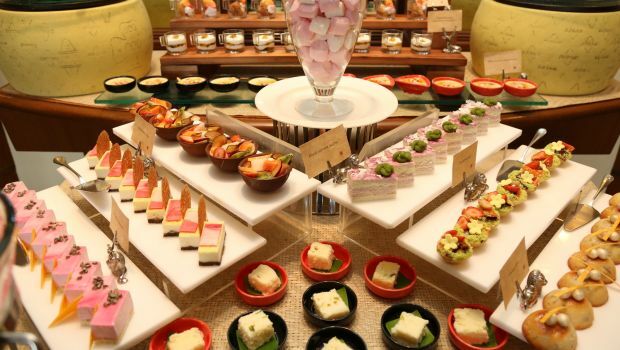 Machan provides the quintessential buffet experience. The menu is an impressive array of Indian, South East Asian and European classics with influences from across the globe. Try the good-old BLT sandwich and the all-time favourite dessert Bull’s Eye which is a spongy truffle encased in hot chocolate fudge. The interiors are cheerful with huge wooden windows that invite plenty of natural light perfect for a family luncheon. and melt-in-mouth pork ribs are the stars of the buffet.